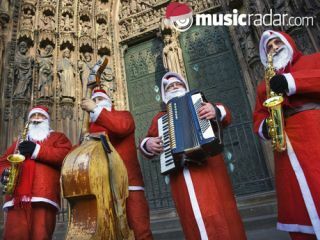 MusicRadar loves Christmas. In fact, we love it so much that, thoughout December, we'll be bringing you as fine a selection of festive and end-of-year features as you could wish for. Whether you're looking for that perfect present, the best (and worst) in Christmas music or simply seeking to celebrate the year that's been 2011, we've got you covered and draped in tinsel. Here's how our season of jollity is looking so far: keep checking back for more. Interview: the making of Band Aid's Do They Know It's Christmas? The best guitar gear of 2011: guitars, amps, FX and more!